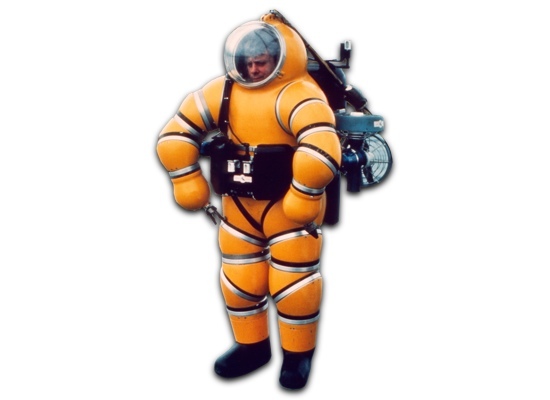 Newtsuit - Nuytco Research Ltd. 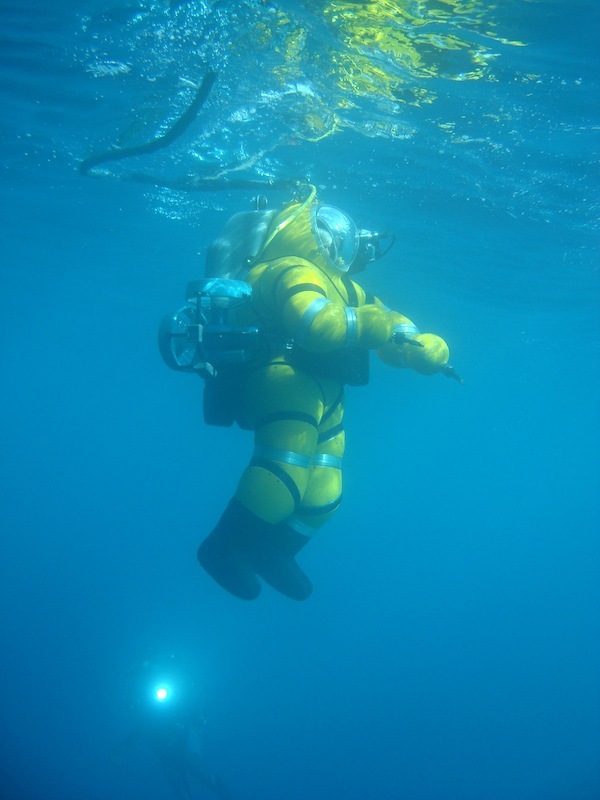 The Newtsuit* 1000 is a lightweight atmospheric diving system (ADS) designed as a safe and full capability alternative to costly and high diver-risk deep ‘bounce’ or ‘saturation’ diving methods. 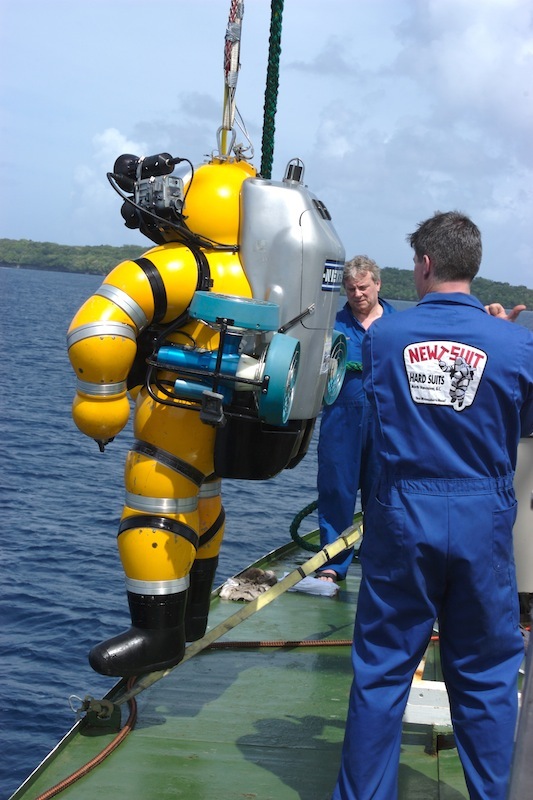 Invented and patented by Nuytco Research Ltd’s Phil Nuytten, the Newtsuit allows the pilot/operator access to worksites deeper than can be worked by a conventional commercial diver, while exceeding the capabilities of access and ‘hand’ function of even the most sophisticated ROVs. 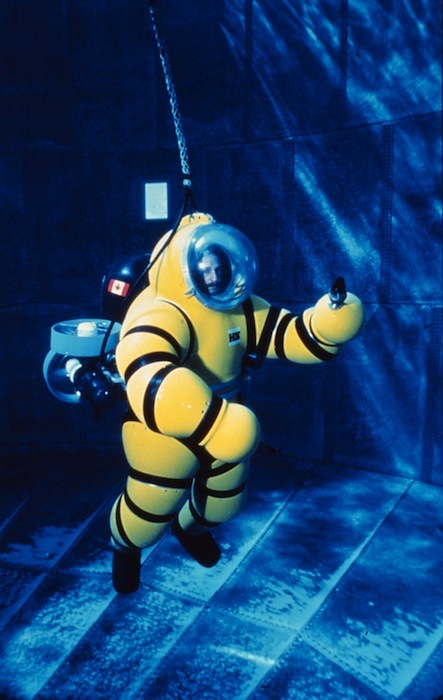 The Newtsuit is a fully proven design that has been in use worldwide for nearly twenty-five years in support of military and commercial undersea operations. 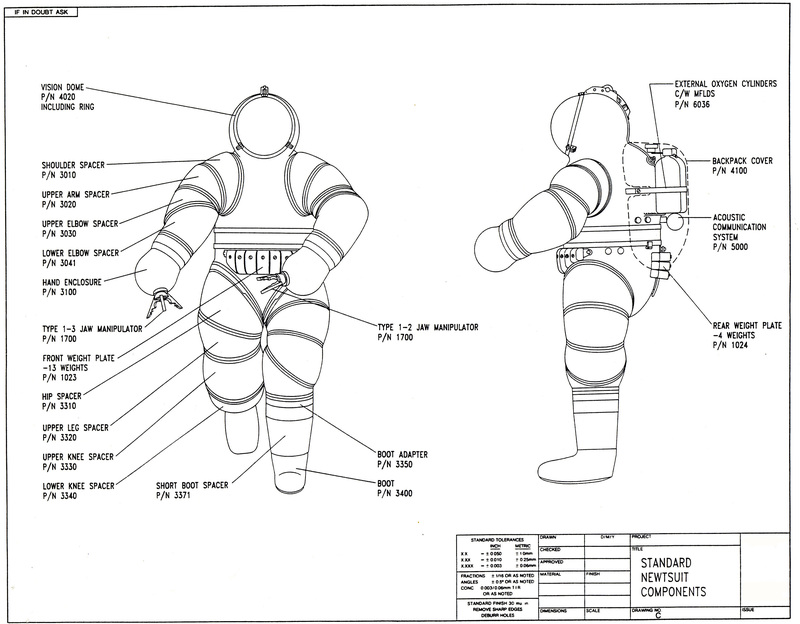 Nuytco Research operates the Newtsuit on an operational basis, in concert with other one-atmosphere assets. 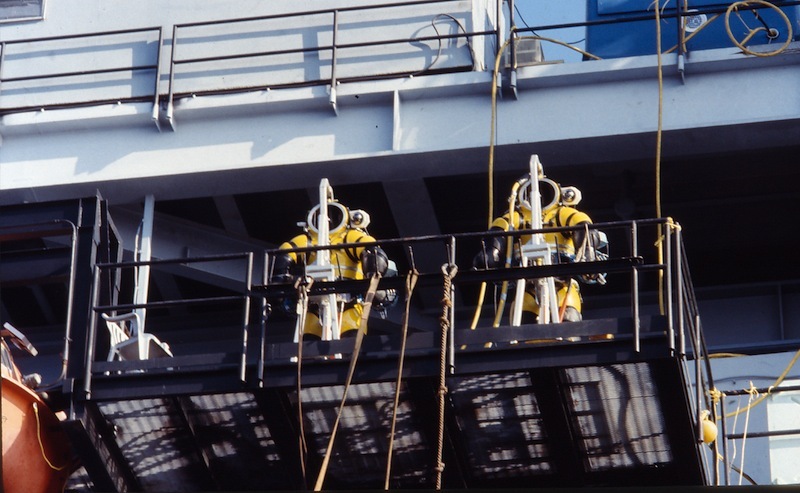 The pilot/operator of the Newtsuit ADS remains at one atmosphere and is protected from the outside water pressure at depths up to one thousand feet. There is no requirement for any decompression. 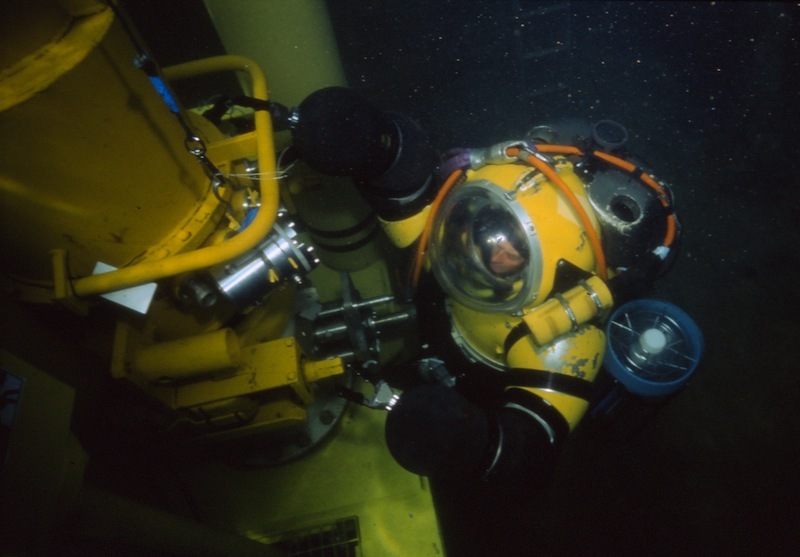 No decompression means that the pilot/operator completely avoids the physiological risks associated with deep ambient pressure or saturation diving and the end-user avoid avoids the long, risky and costly decompression of saturation diving. 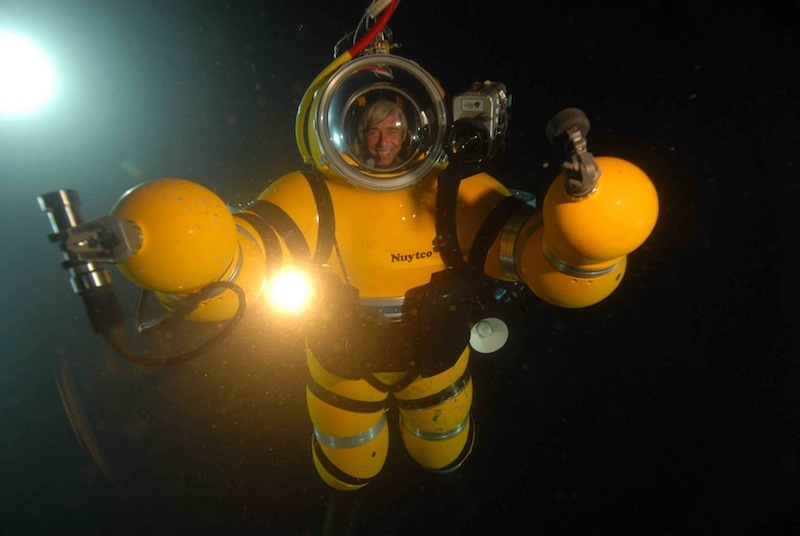 With the pilot/operator remaining at one atmosphere, the Newtsuit has the same type of range and even greater mid-water maneuverability than a full work-class ROV spread. 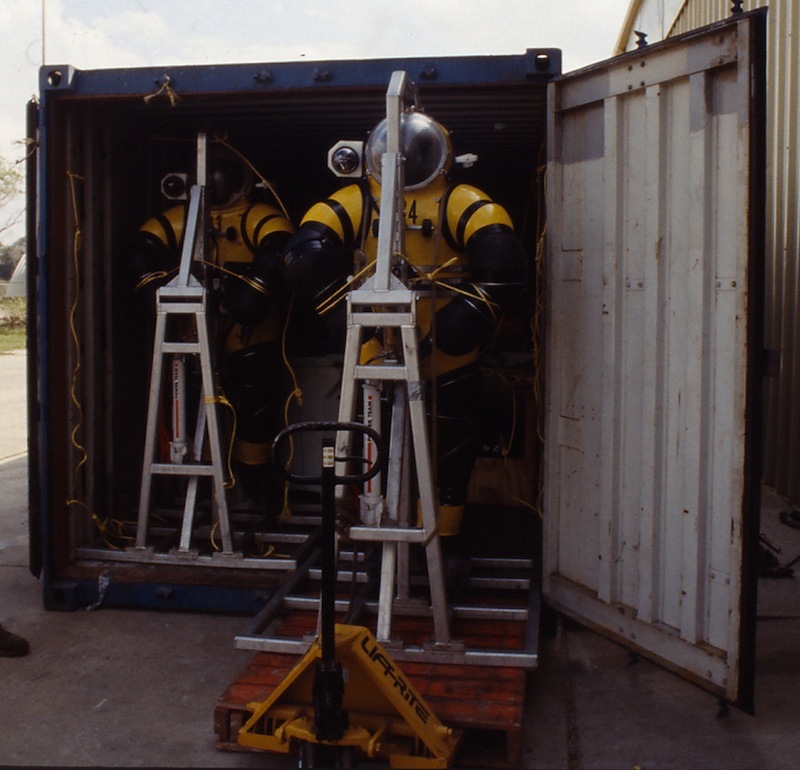 Unlike the ROV systems, the Newtsuit has the advantage of being small enough to have access to restricted spaces and has the ability to perform intricate tasks that were formerly the exclusive domain of commercial divers. * All trademarks are the property of their respective holders.